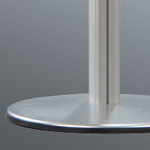 Select the combination of parts you require from below. 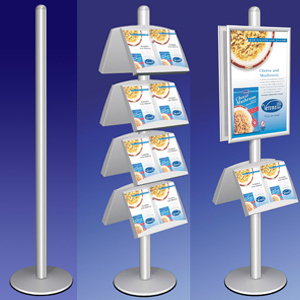 Click here to see example brochure stand. 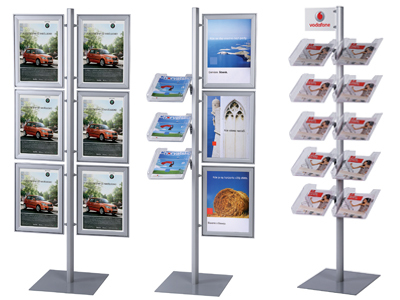 Similar to the InfoColumn, the InfoPole offers a variety of single or double-sided poster and brochure display configurations. 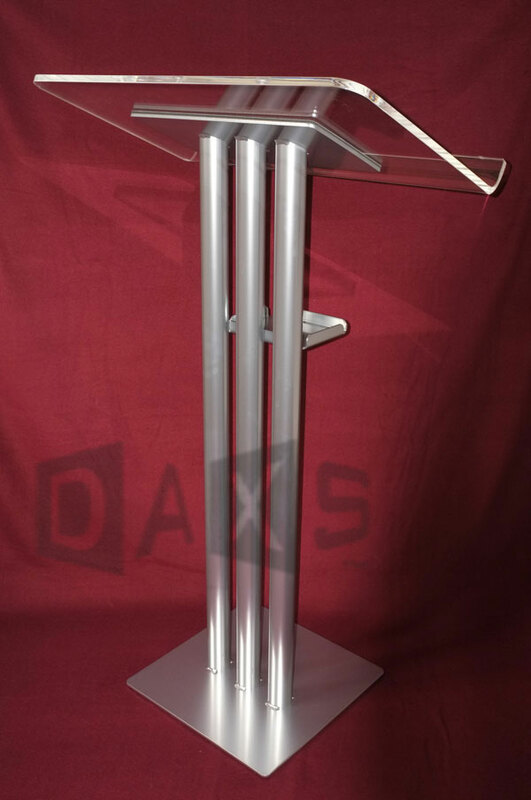 Select the combination of parts required to add to the 1800mm high silver anodised alloy profile and 425mm x 500mm steel base. 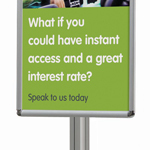 Click for 'zoom' view of example stand. 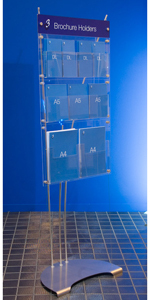 The versatile Multistand enables a large variety of displays to be configured as illustrated below. 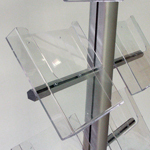 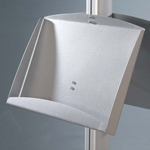 Side-attached accessories can be positioned at any height and ordered individually. 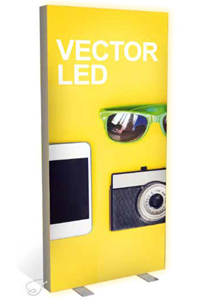 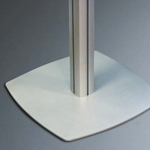 Starting with the 1850mm high silver anodised support pole and 425mm x 500mm steel base, add brochure holders, poster snapframes, acrylic pockets, banners and logo panels in the combination and quantity required. 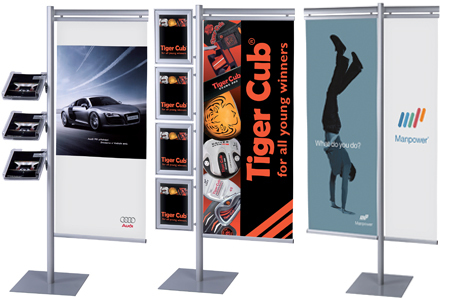 Logo panels and banners can be supplied printed - please phone for costs.